This week something wonderful happened, my tulips sprouted up through the rocks of the garden bed! They are just tiny little green leaves but soon they will erupt with blooms and color. Spring is here and I cannot wait for the warm weather and flowers to arrive with the season. 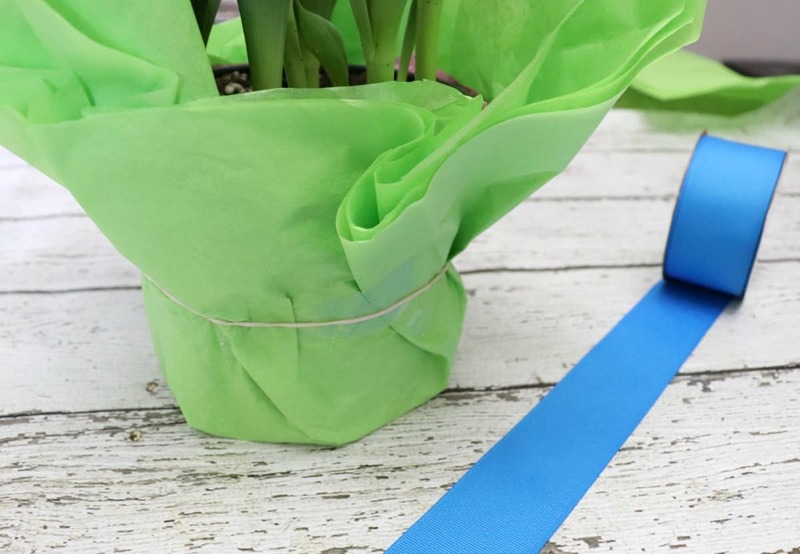 To bring some greenery and color into my home before the tulips outside bloom I picked up a foil wrapped tulip plant at the grocery store. It’s wrapped in Easter themed foil which is great for this week but I wanted to update the wrapper for after the holiday. 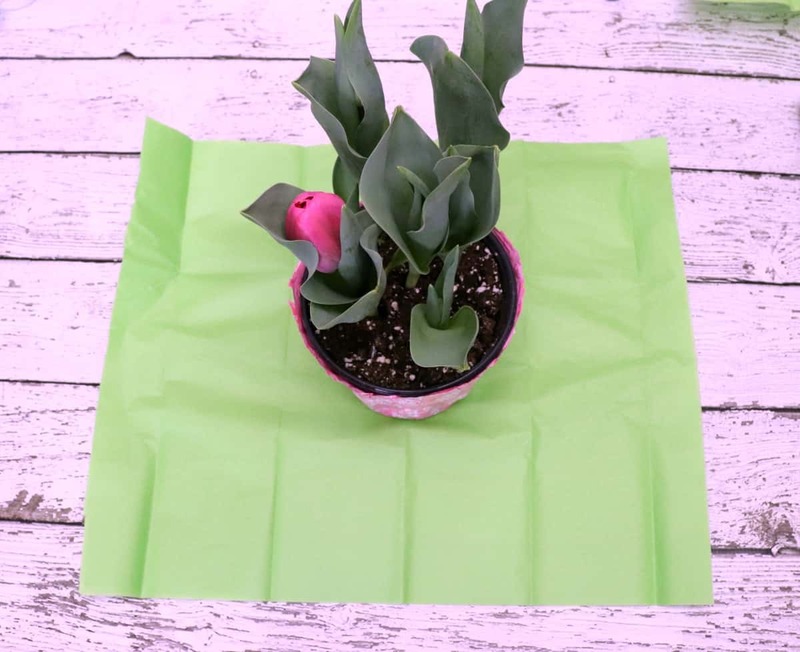 This Dollar Store plant wrapping idea is ridiculously easy but it changed the look of my very basic tulip plant and will allow me to keep that plant around for a while. 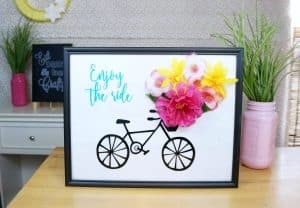 I’m posting today along with a few other bloggers all sharing Spring and Easter themed Dollar Store ideas. You can find all of their projects below. 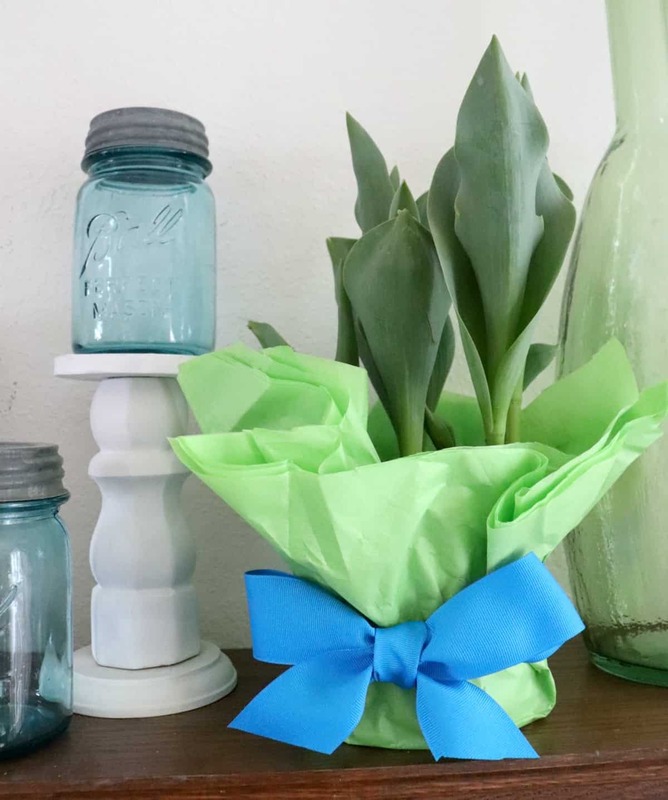 Wrapping a plant like this one is quite easy, I grabbed some green tissue paper and blue ribbon from my local dollar store. I started by trimming off the excess foil above the plastic pot, I left the foil on the bottom because it catches the water. 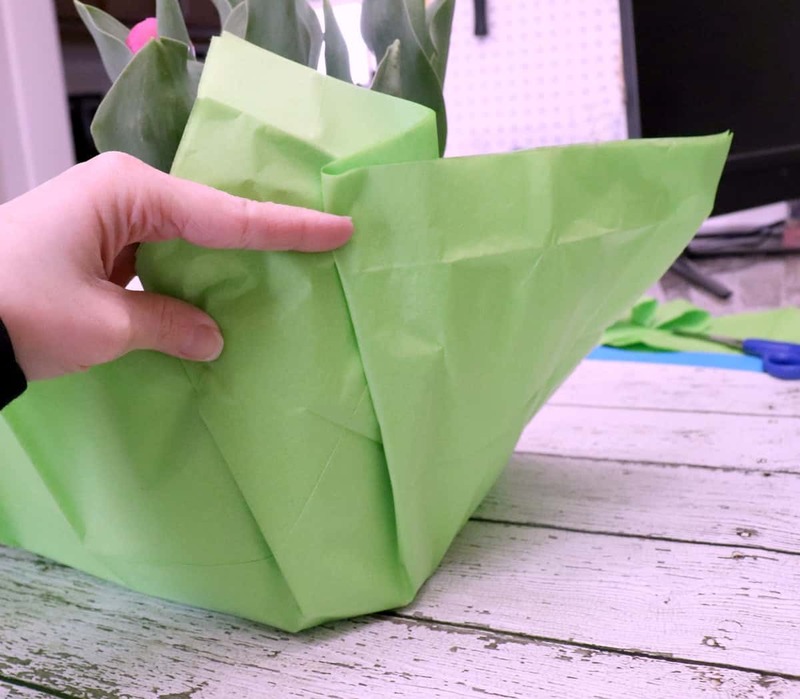 Then I laid out the green tissue paper and cut 3 sheets into a square. 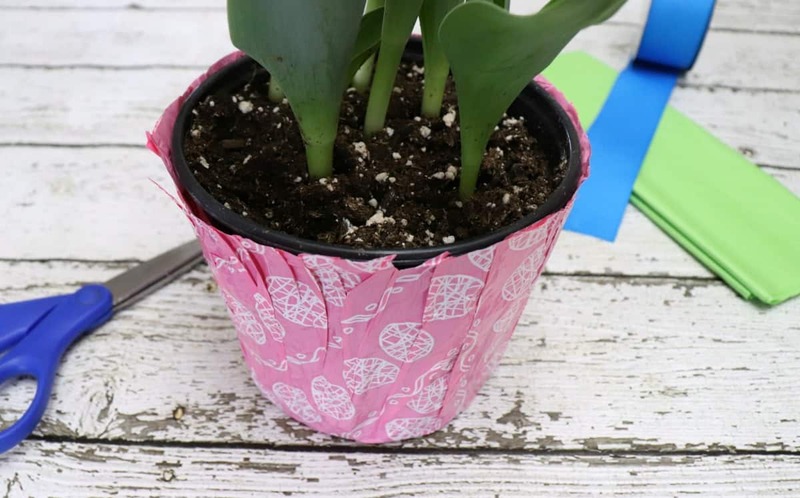 I began to fold the tissue around the plant using a bit of tape to secure it as I went around the pot. When I got all the way around I used a rubber band to keep the tissue on place and then added a bow around that. 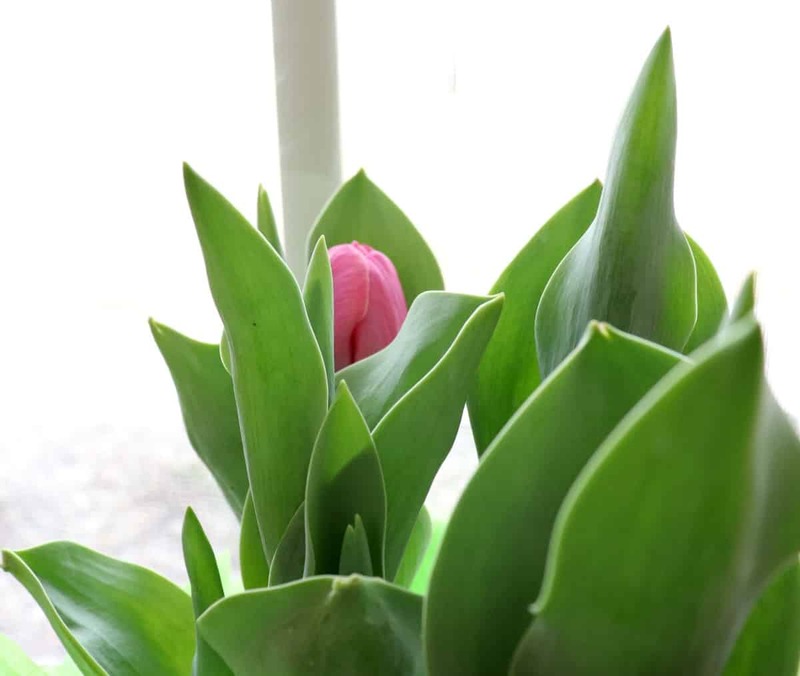 Now I have a pretty wrapped tulip for Spring. 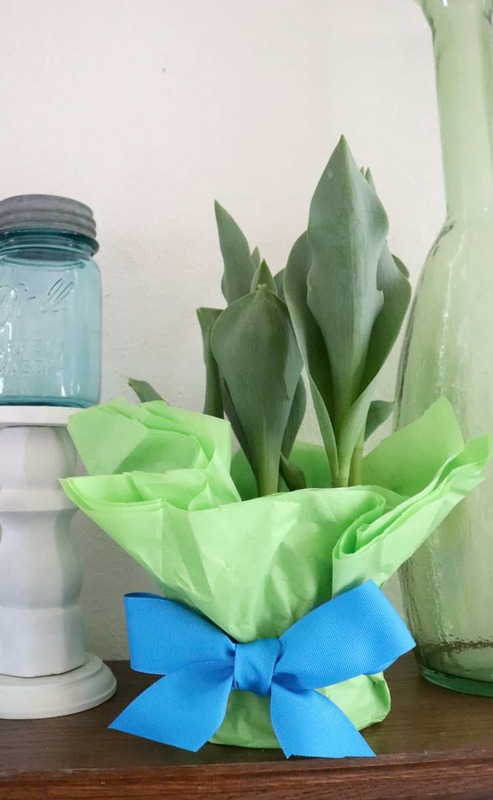 Such a simple plant wrapping idea that really makes a difference. This plant has 1 pink blossom just peeking out, I can’t wait until it fully blooms! Ready for more Dollar Store projects? Check these out.